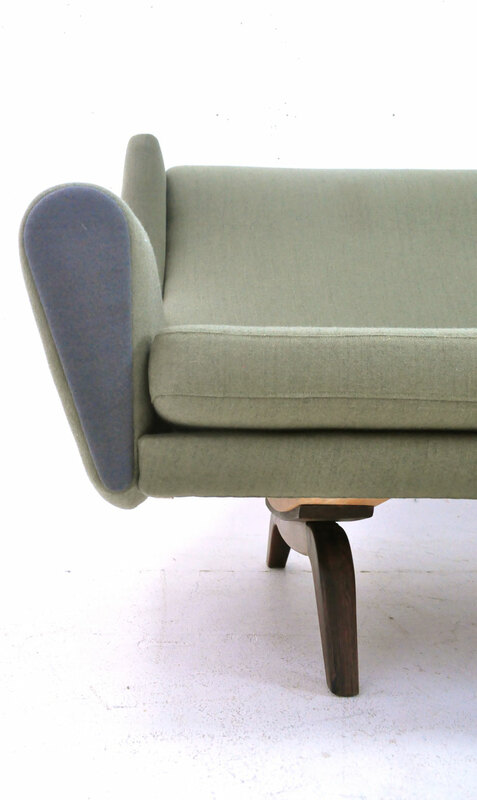 Rare high back 3 seat sofa from early 1961 with new upholstery. 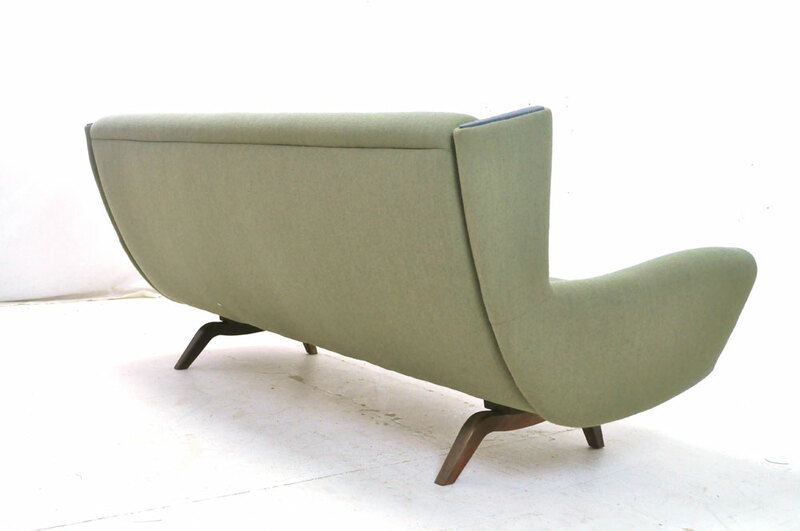 This sofa offers excellent seating comfort as the high back is curved offering comfort and head/ should support. 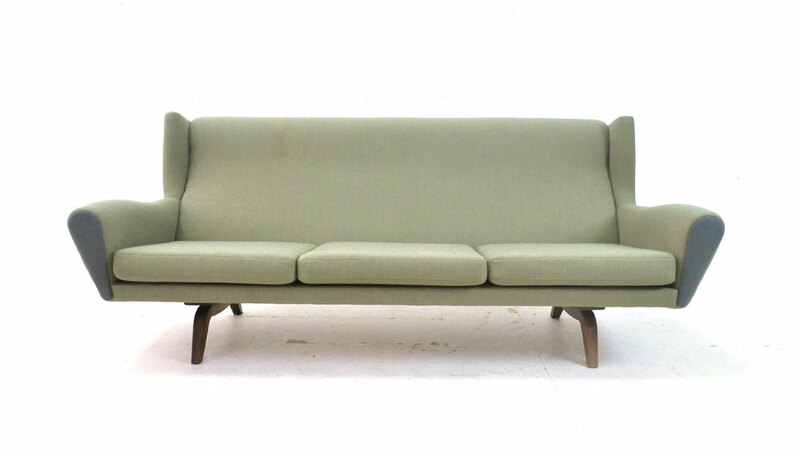 The sofa has been completely restored from a sorry state with all new webbing in the seat, new foam cushions and upholstery. 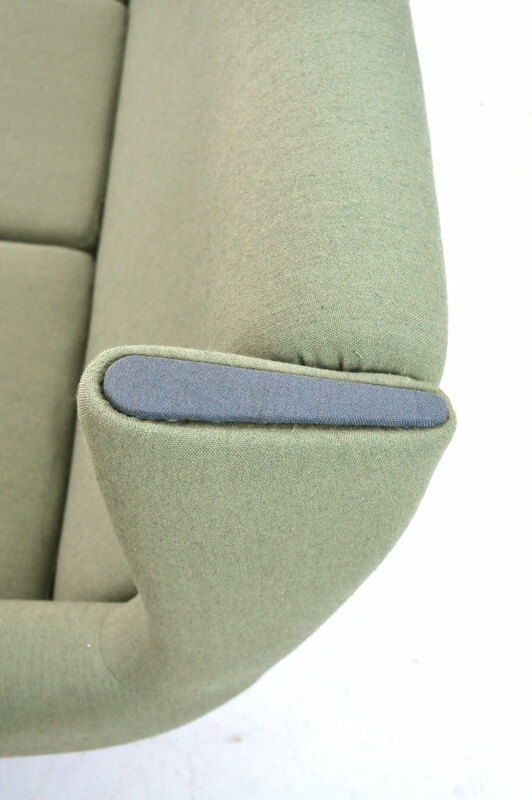 The green / grey upholstery is woven with a dark fleck and is made of 96% worsted wool +4% polyamide. 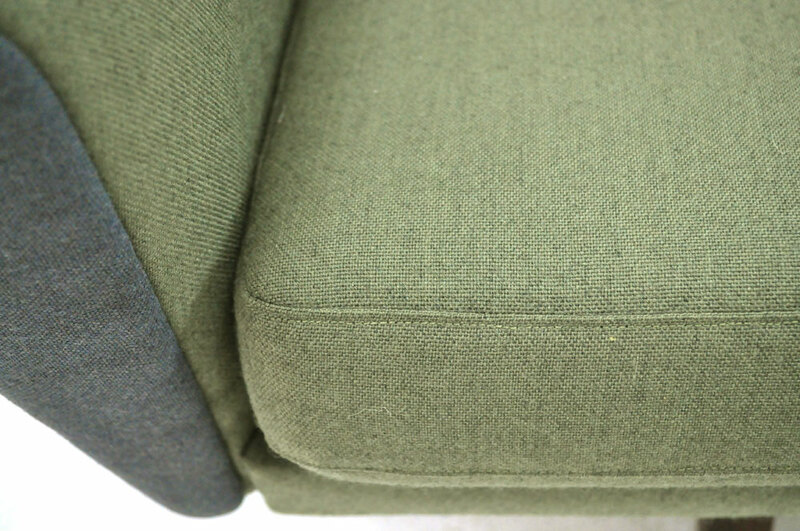 The seat cushions are fully upholsterd so can be flipped over and used on both sides. 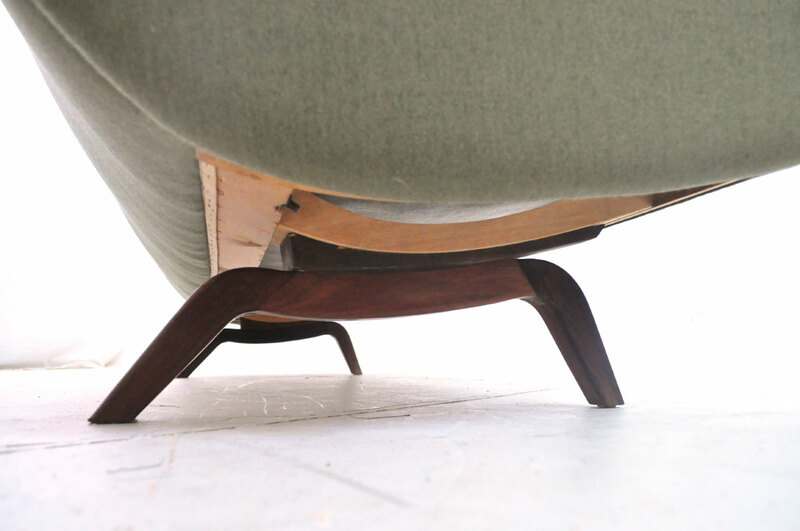 The rosewood legs are in perfect condition with rich age related patina and oiled finish bringing out the wood grain. 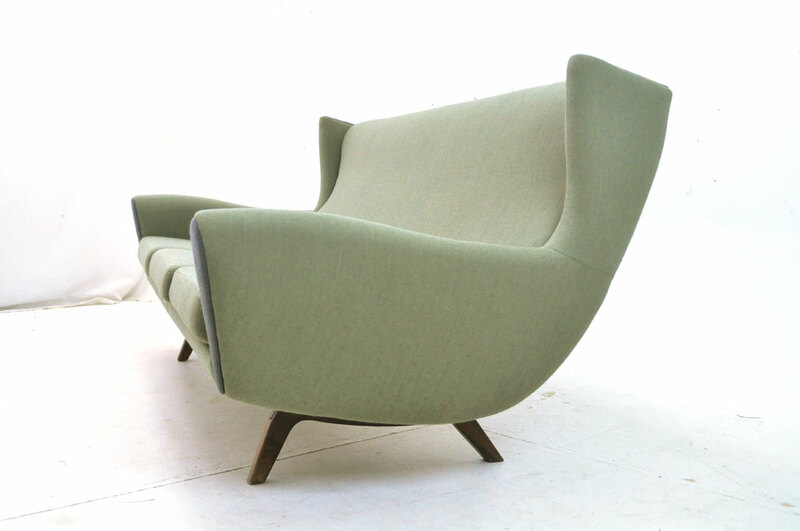 They are fitted to the sofa seat base and can be removed for transport. 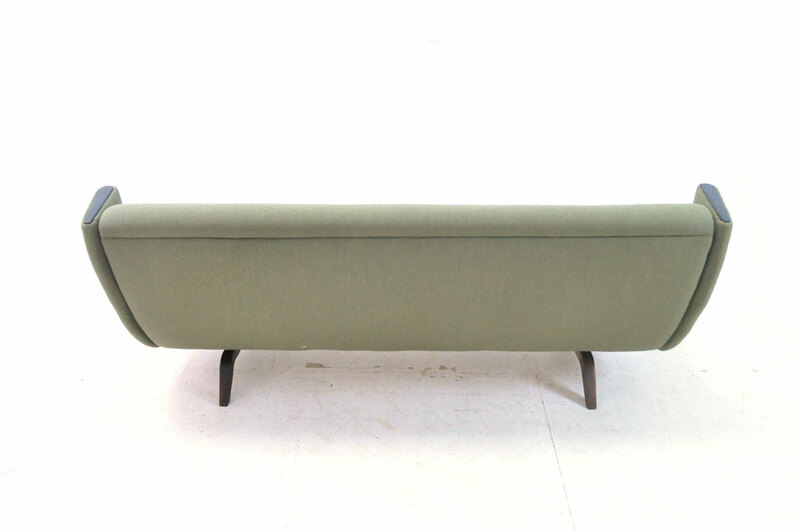 The sofa can be completely dismantled for delivery. 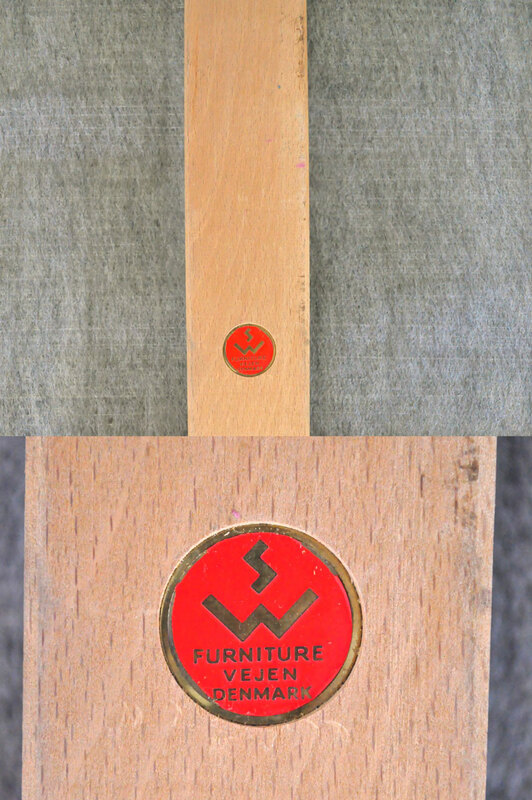 Frame is clearly marked with red makers disc.